It’s been less than a month since the Singapore, Toy, Game and Comic Convention (STGCC) ended, but geeks in Singapore already have their next big event to look forward to. 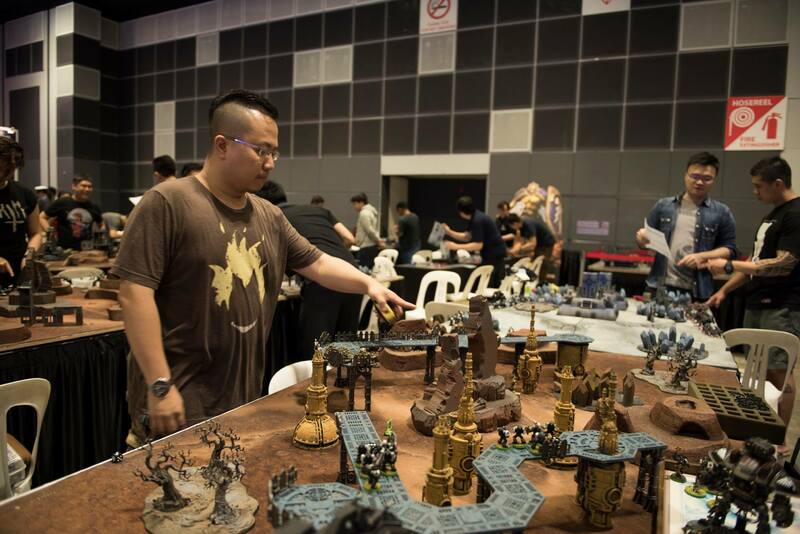 Taking place at the Suntec Convention Hall on the 13th and 14th of October, GameStart returns for its 5th edition, and is pretty much a must-go for gamers in Singapore. Not everyone has the finger dexterity to pursue e-sports as a full-time job, but watching those who do duke it out on a big stage is just as fun, we’d say. While STGCC’s WESG focused on team-based games like Counter Strike and Dota 2, GameStart will play host to the SEA Major 2018, where top players from all around the world will compete in fighting games such as Street Fighter V, Tekken 7, and Marvel Vs Capcom Infinite. With qualification spots for larger competitions (Street Fighter V) and a whopping USD $15,000 (Tekken 7) up for grabs, you can bet that everyone will be bringing their A-game, which’ll no doubt make for some intense, jump-out-of-your-seat moments that you won’t want to miss. Anyone who’s been to an arcade has probably wished that they could bring one of those machines back home, and this workshop happening at Gamestart is giving you the opportunity to do just that. Well…kind of, at least. With the guidance of the folks at RetroCade, this four hour workshop will teach you how to build a fully-functioning miniature arcade cabinet from scratch, from setting up the wires to installing the joysticks. Slots for this are limited, so you might want to drop an email to [email protected] to secure a spot. At $400 this definitely isn’t the cheapest of activities, but can you really put a price on having unlimited lives in Metal Slug? Conventions usually feature a number of high-profile guests, and GameStart is no exception. Probably the biggest name to look out for this year is Elise Zhang, who you might know better as the voice of Mei from the wildly popular shooter Overwatch. Pro wrestling fans can also look forward to an appearance by New Japan Pro Wrestling’s Kenny Omega, who will be commentating Street Fighter matches at the aforementioned SEA Major tournament. Both will be holding meet-and-greet sessions, though it’ll cost $35 to get up close and personal with Zhang. Whether that’s worth your cash is a matter of personal preference, but this is probably the only chance to get your Funko Pop signed. Secretlab chairs are the holy grail of a gamer’s furniture setup, but with prices starting at $620 you have to be packing some serious expendable income to even consider getting one. 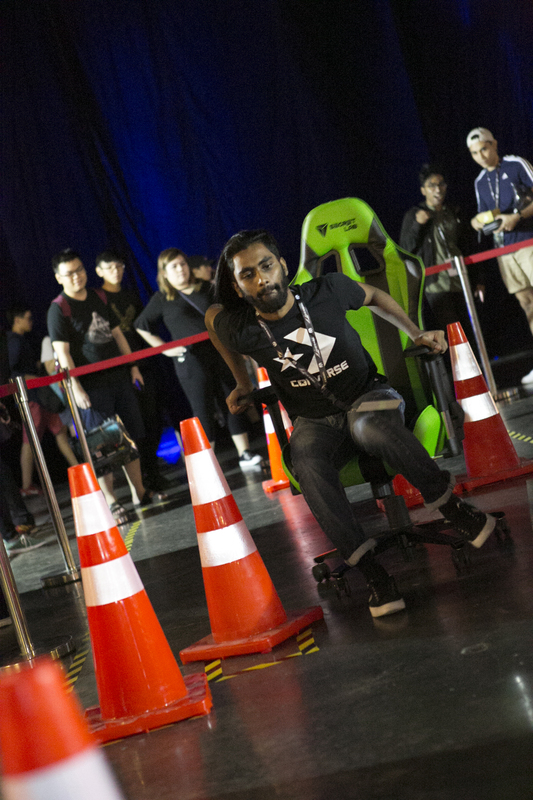 And that’s where the Secretlab Grand Prix comes in — now in its third year, the strangest race you’ll probably ever participate in has you manoeuvring one of the local brand’s chairs through an circuit lined with traffic cones. The fastest timing each day will win a Secretlab Omega Stealth chair, which’ll make your $12 GameStart ticket feel like a pretty good investment. Even if you aren’t in the market for a chair right now, we’d recommend signing up for this one anyway. Video games might be the main focus of GameStart, but the convention will have an entire section dedicated to the underrated art of tabletop gaming as well. Appropriately named GameStart Tabletop, this area is your gateway to games like Warhammer 40,000 and Star Wars X-Wing Miniature Game. Whether you want to learn how to play or just watch the pros battle it out, this is the place to be for a more analog gaming experience. The classic of all classic tabletop games, Dungeons & Dragons is set to make an appearance as well, so if you’ve ever wanted to play a game like the kids in Stranger Things, now’s your chance.